Download Hour1 Download Hour2 We begin a new series this week, looking at the global drug trade and its key role in funding deep state groups. We begin with an expert on the Asian drug trade, Alfred McCoy. His 2010 talk, "Low-Intensity Conflict in the Drug Wars" focuses on opium production and its relationship to the proxy wars being fought in Afghanistan. We follow the heroin westwards to Turkey with a commentary by Sibel Edmonds who focuses on the nexus of the political and intelligence agency leaders, mobsters and drug traffickers which was brought to light by the "Susurluk scandal". This fateful 1996 car crash lead to the development of the phrase "Deep State" to describe the behind-the-scenes arrangements which were previously hidden from public view. While details of their operations remain unclear, they are increasingly understood to be more important to what really goes on than the for public consumption charade that is electoral politics. Having focused in the past on the US deep state, we look instead at its manifestation in the middle East and Asia, focusing this time on centers of production (Afghanistan) and trafficking (Turkey). 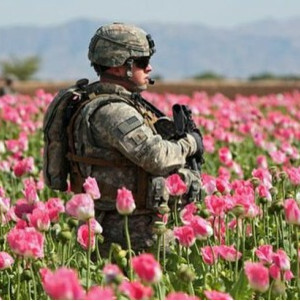 We begin with the center of the world's opium production, Afghanistan, which the US revealingly chose to attack in the immediate wake of 9/11, in spite of a lack of clear evidence that the country was involved. Beginning with a review of post WW2 covert CIA wars in the region, McCoy looks at US covert operations in the area of Afghanistan, and notes how possible alternatives to opium production have been destroyed by consistently "unsuccessful" policies which are repeatedly employed, leaving local little option but large scale drug production. McCoy recommends crop substitution, replanting orchards and providing alternate employment, suggesting that pacifying a narco-state is impossible. How did they even know about these ongoing projects? This page was last modified on 18 September 2014, at 10:26.